Ask the help of our dryer technician in Vaughan no matter what you want. Dealing with sudden problems? Want to service a combo? Need to replace parts? Our tech will help you on time and professionally. We offer prompt service at reasonable prices. Our pros are the right choice for dryer service in Vaughan, Ontario, whether you need new installations or repairs. And that’s because we offer full service and are dedicated to ensuring proper dryer operation. Does it get too hot? Irrespective of the dryer you own, our experts can fix it. 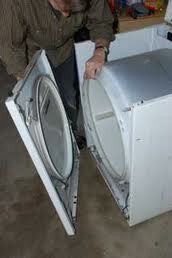 We will bring genuine, high quality appliance parts for your dryer in case there is a need to make replacements. Our techs always show up fully equipped – no matter which service they come to provide. Got a new dryer? Call us now to make arrangements for the dryer installation. No matter how simple these appliances are, their installation is still complex. And that’s because most models must be connected to vents. If you get combos, it will be very hard to manage such installations alone. We are here to do the job for you affordably and properly. The vents connected to your top load dryer fill with lint. And lint is not good for the appliance. It will clog it if not removed occasionally. That’s part of what we do during our routine service. Our techs also check the parts and can replace any worn one. We do all repairs needed to reduce energy costs and problems in the long run. And these are two good reasons for calling Appliance Repair Vaughan for regular service. Want service today? Call our Vaughan dryer technician no matter what you need.